Next destination after Peru for Saurabh and I was Bolivia. 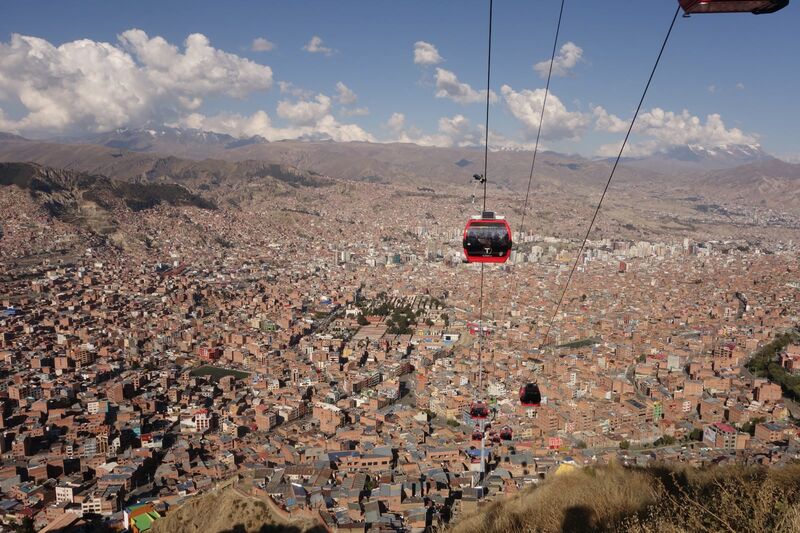 We took flight from Cusco to the city of La Paz. 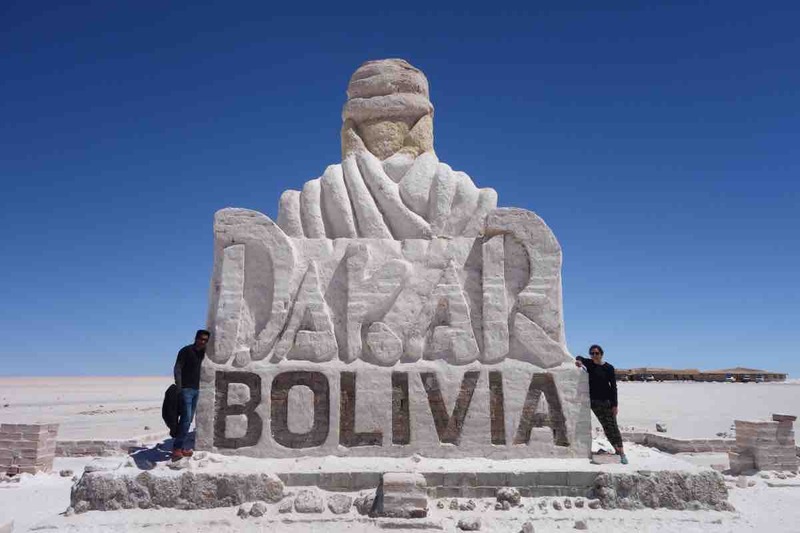 Bolivia is one of the few countries that give visa on arrival for Indians. The entire process was very smooth and we just had to pay visa fees at immigration. Bolivia is quite different from Peru and reminds us of India. There were street hawkers everywhere selling things like fruits, vegetables, shampoos and hair oils across the city streets. 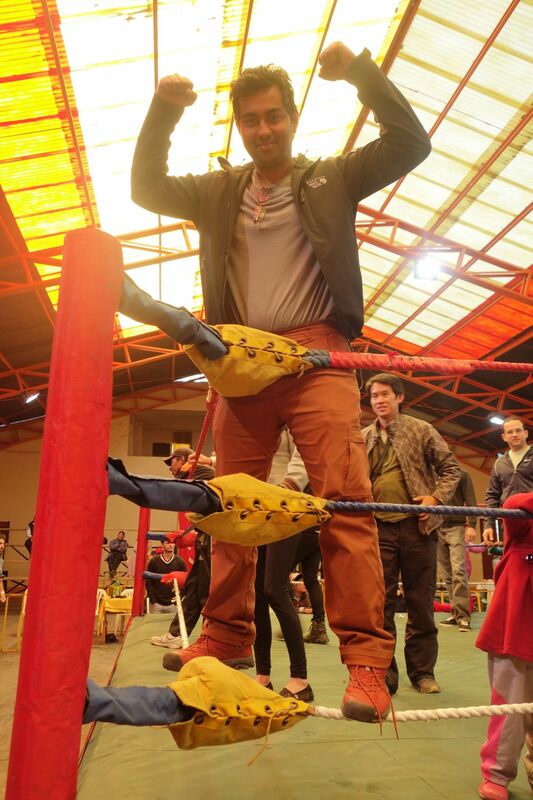 The scene was very similar to ‘haats’ (local market) we have in India. We booked our hotel in the heart of the city area. After checking-in, we decided to explore the city. We reached La Paz on Sunday and most restaurants and shops were closed. As a result, the city looked quite deserted. There weren’t any decent restaurants in the city and the only good restaurant we could find was a pizza place called Mozzarella. They had different varieties of pizzas that were really tasty. The restaurant was small but cozy and each of the tables had 'Thank You' messages written on paper napkins by visitors. We also thanked them by writing our message in Hindi. 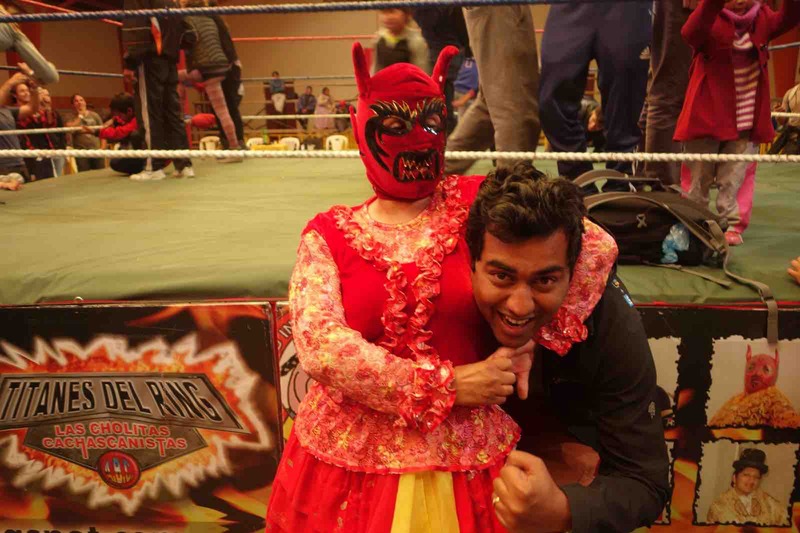 The first thing that we saw in Bolivia was Cholita wrestling. 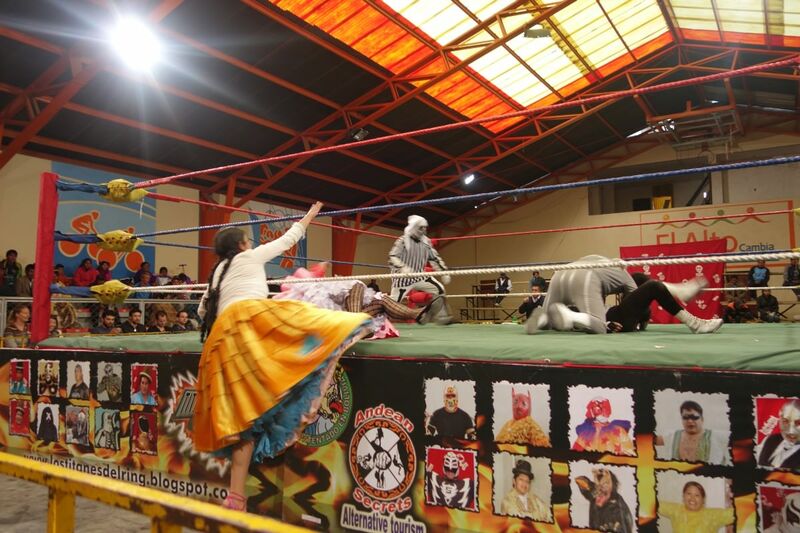 This game of wrestling involves a group of freestyle male and female wrestlers. They perform only on Sundays and the ticket costs $35 that can be booked from any tour agency or hostel. Ticket includes VIP seats, pick and drop to/from the hotel, a bag of popcorn, a cold drink, 2 passes for using the restroom and a souvenir postcard. Our tour bus picked us up from our hotel and drove us to their arena and also stopped for some great pictures along the way. 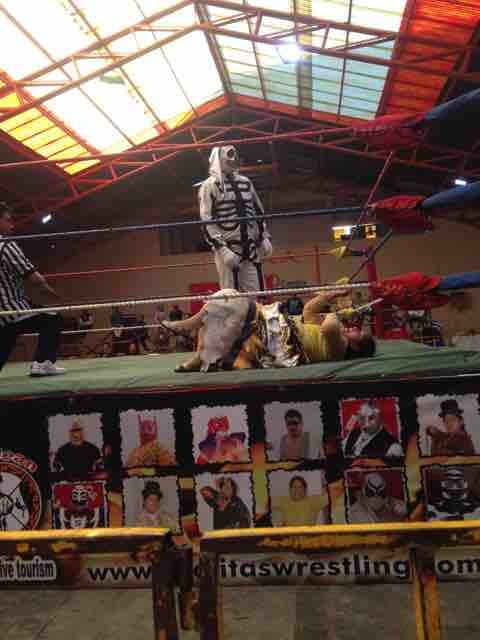 After taking a few pictures, we drove to Cholita wrestling arena. 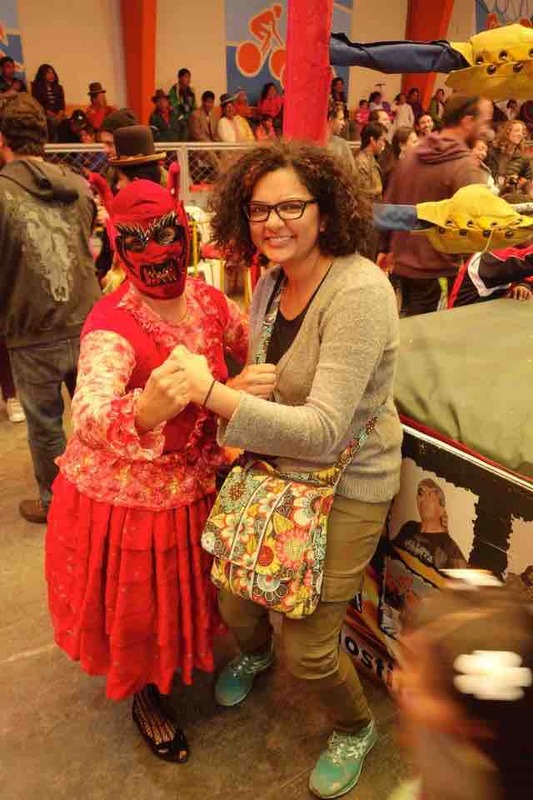 The women wrestlers wore native indigenous dresses while the men wore superhero costumes and masks. We saw close to 6–8 matches. Overall it was such a fun experience. We even took some pictures with wrestlers. After the wrestling, the tour bus dropped us back to our hotel. One of the main destinations we wanted to visit in Bolivia was the salt flats in Uyuni. 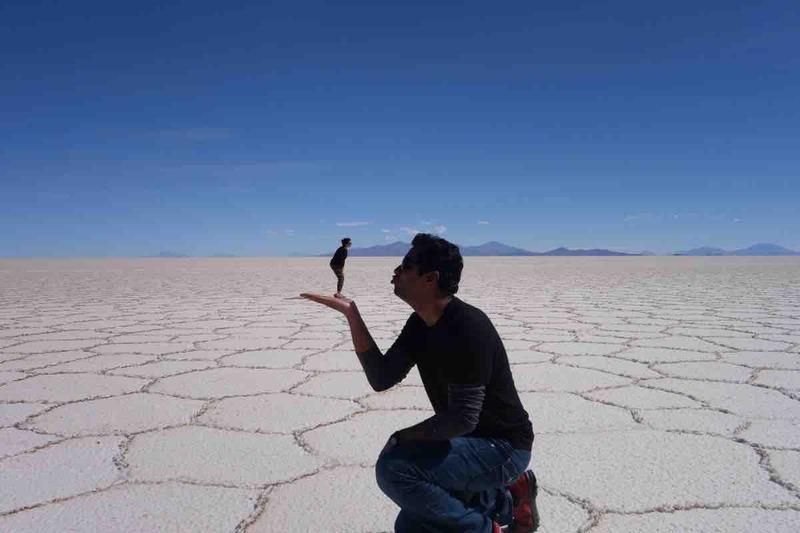 So next day we booked a bus to Uyuni and took a day tour with Red Planet Expeditions to visit the salt flats. It’s much easier to book tickets from the bus station instead of tour operators - it's cheap and hassle free in case you need to make changes. 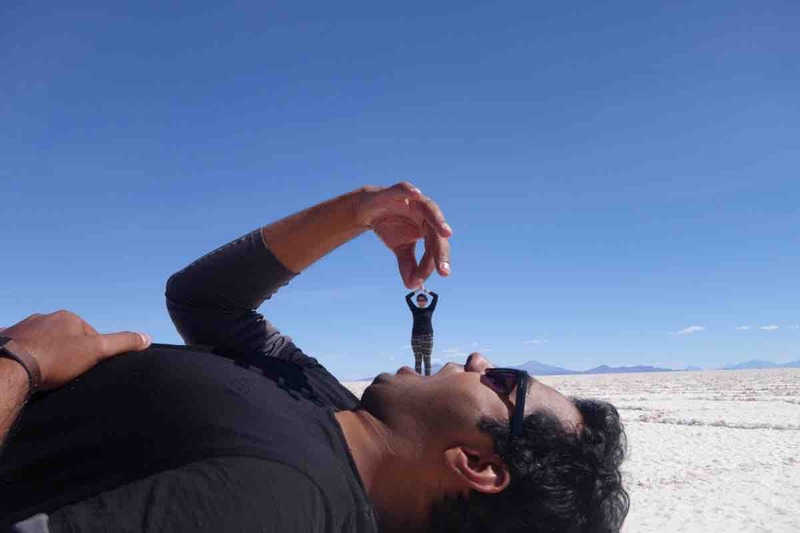 Distance from La Paz to Uyuni is around 600Km that has paved as well as unpaved roads. 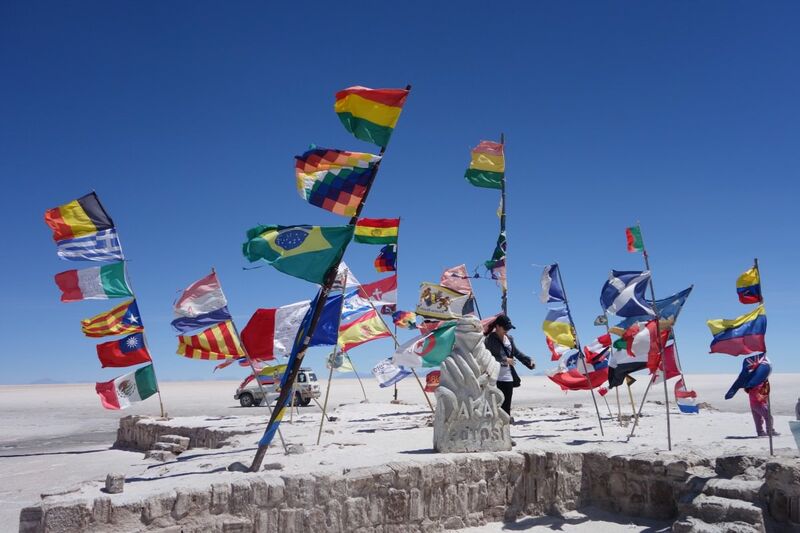 The bus usually takes around 11-12 hours to reach Uyuni from La Paz. We booked an overnight semi-cama(semi sleeper) bus and reached at 8 am the next morning. To our surprise, semi-cama bus had nice reclining seats and was very comfortable. 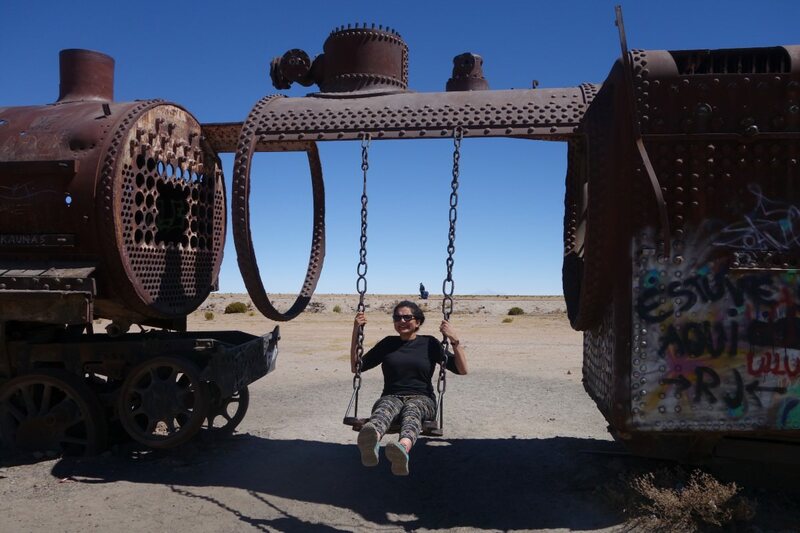 Uyuni is a small town with tourism as the main source of income after their mining industry collapsed in the 1940s. 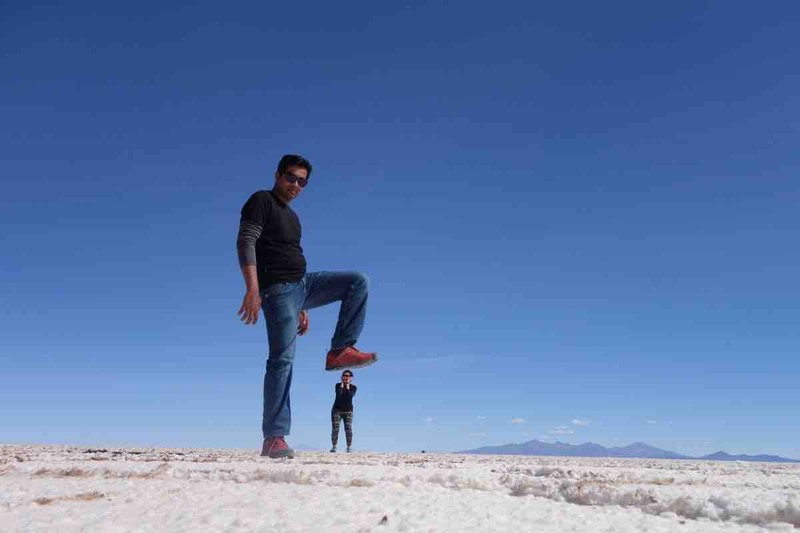 Soon we started our day tour to explore Uyuni. 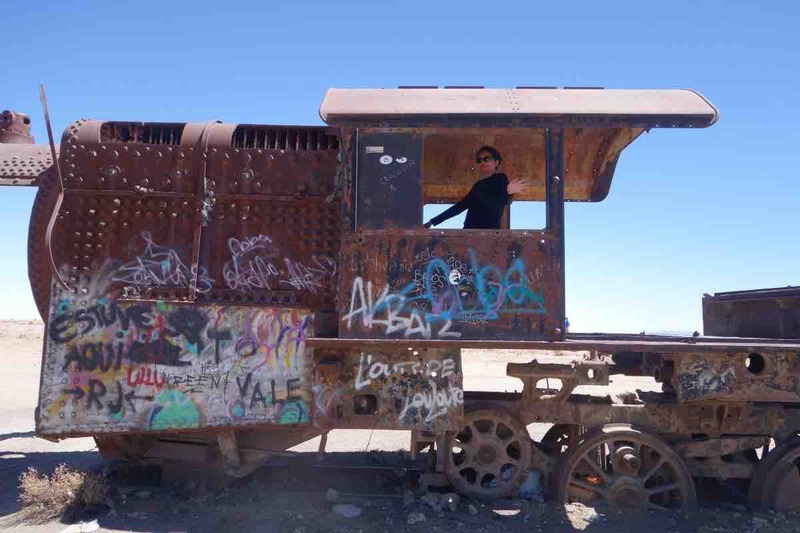 Our tour covered three places – an antique Train Cemetery, Salt flats (Salar de Uyuni) and Inca Wasi. First stop was the antique Train Cemetery. 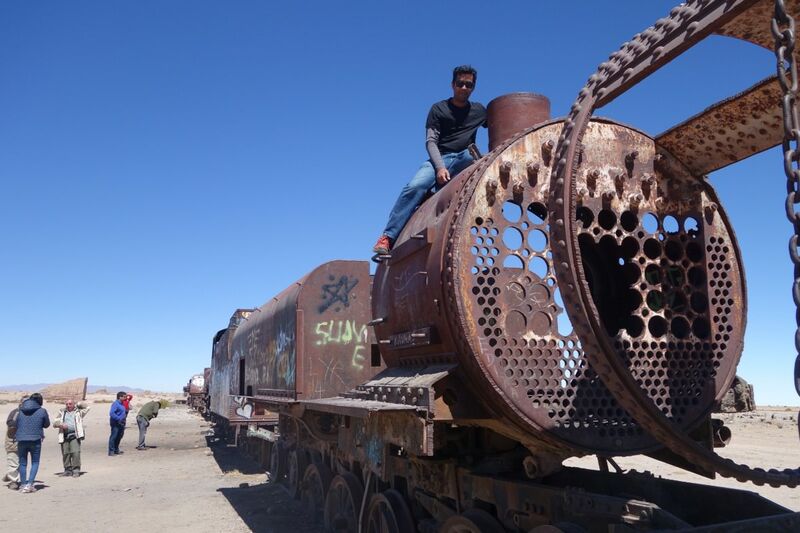 It was a huge graveyard of abandoned trains. 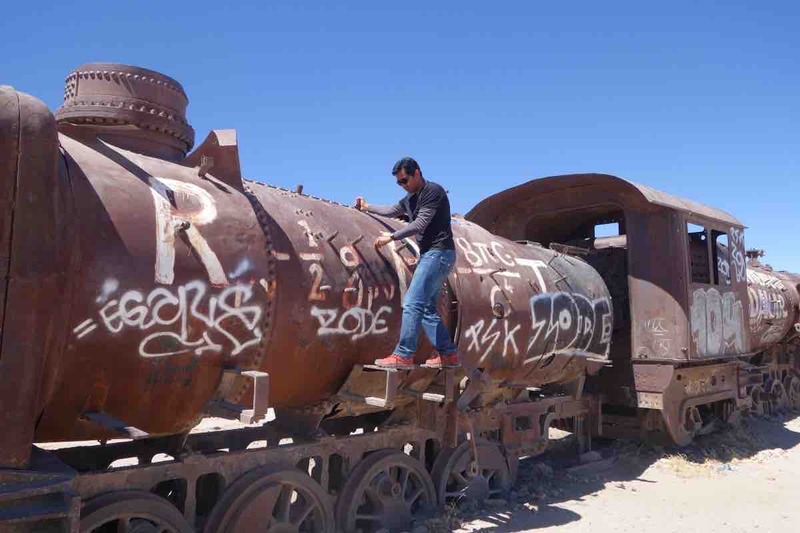 Different mining companies used these trains until the 1940s but they were abandoned after shutdown of the mining industry. Next, we drove to the Salar de Uyuni – the salt flats. 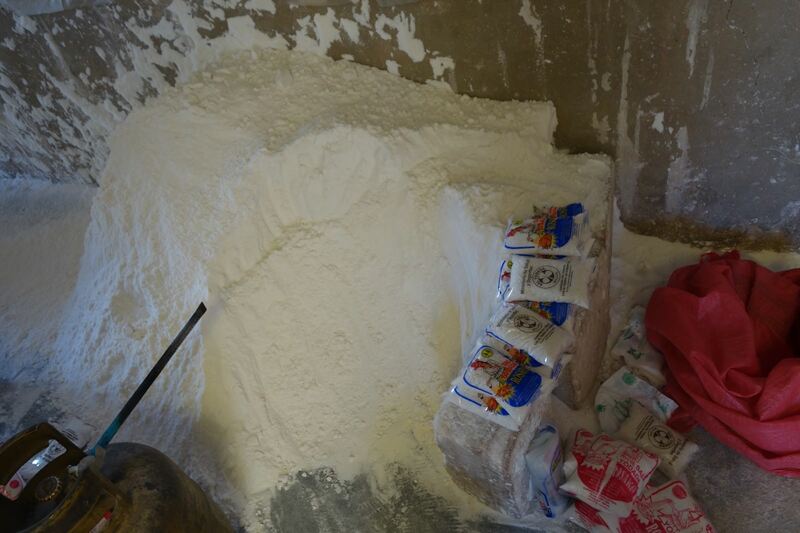 There were piles and piles of salt all over the place. These salt flats get very reflective after the first rainfall. It was very pretty and breathtaking of see never ending flats of salt. We took some amazing pictures here and later went to see the factory where table salt was manufactured. 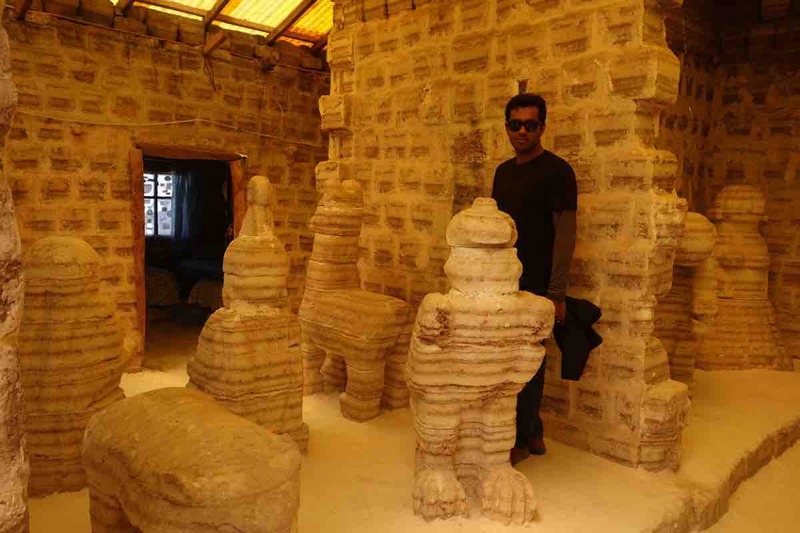 There were a few houses made entirely out of salt. 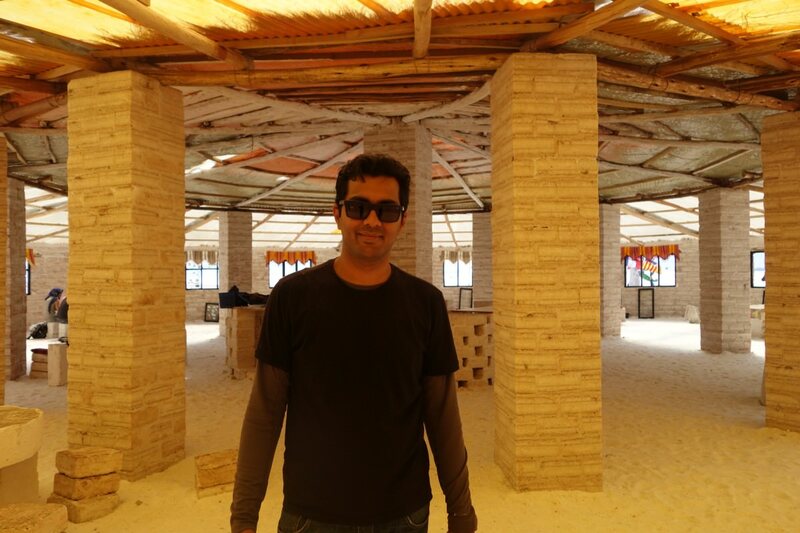 We also saw a hotel Playa Blanca inside the salt flats made entirely out of salt that also had some salt sculptures. This hotel was discontinued years ago because of contamination and other hazards to salt flats. We took some amazing pictures along the way. 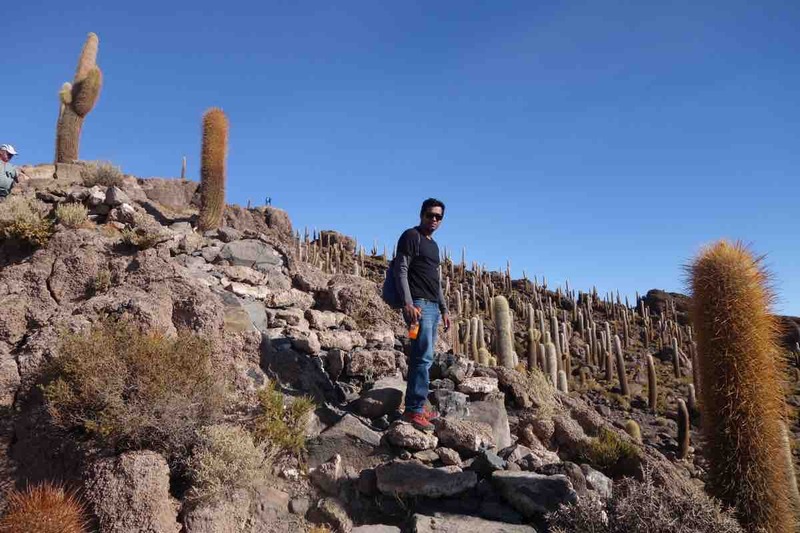 Our next stop was Inca Wasi Island. This place was hot, arid and there were giant cactuses all around. The rock formation on the island is from corals. It is assumed that this was beneath the ocean several thousand years ago. Buses to La Paz from Uyuni gets filled up pretty fast. We made the mistake of not booking our return bus so next day we had to take flight to La Paz since all the buses were full. 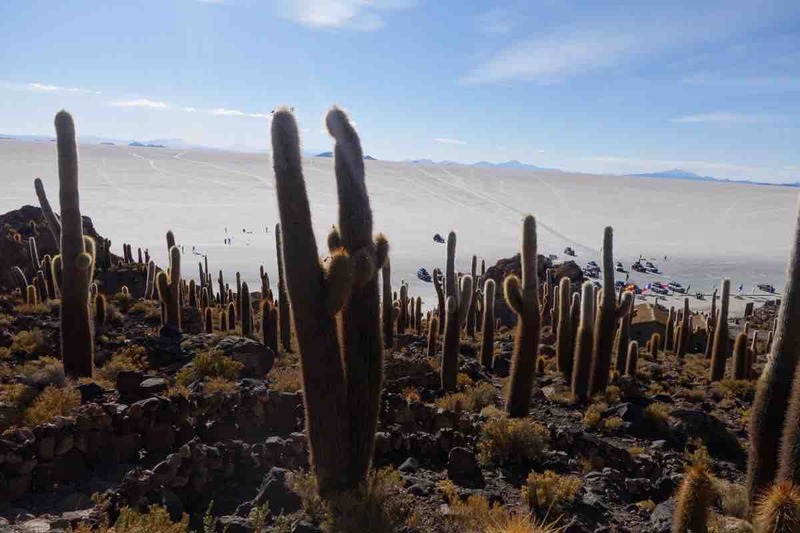 Daily there is only one flight operated by Amazonas that connects Uyuni and La Paz. After coming back to La Paz we stayed in Loki hostel. It was much better than staying in a hotel and the people were very friendly and helpful - hostels always give you a local feel. 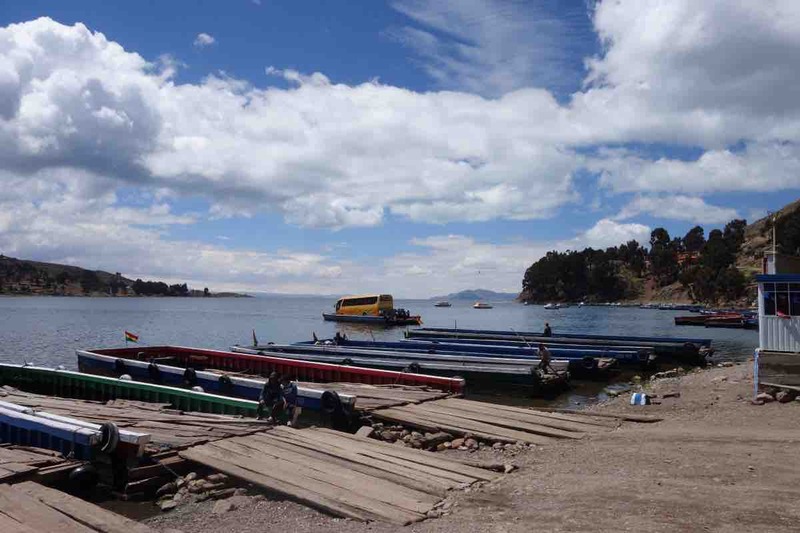 Next, we decided to visit Copacabana and Lake Titicaca. 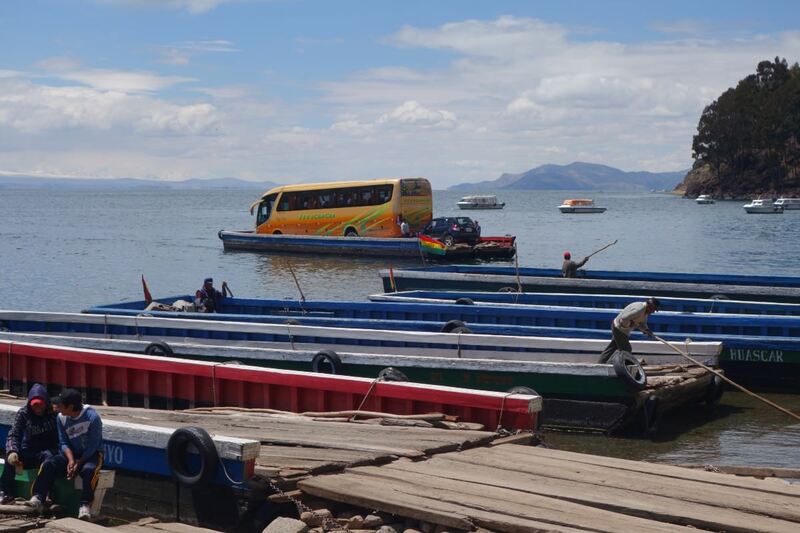 Bus takes around 3.5 hours to reach Copacabana from La Paz. Lake Titicaca is on the border of Peru and Bolivia in the town of Copacabana. It is the largest lake in South America situated at a high altitude of approximately 3800 meters. It was very pretty! We stayed in a hotel by the beach and enjoyed the view from the rooftop. There were many restaurants serving delicious food and one of my favorites was Quinoa soup. That was my staple diet in Copacabana. 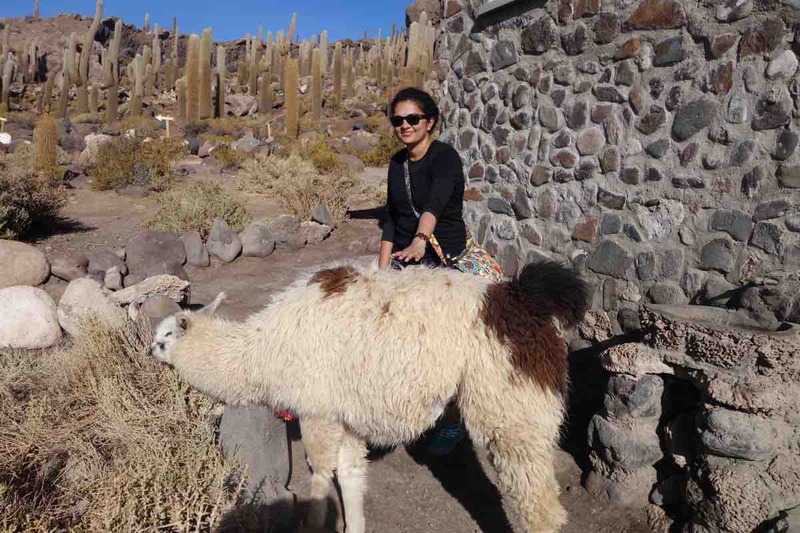 There was a lot of air pollution in La Paz that triggered severe cough and cold for both Saurabh and I. We dropped our plan to go to Isla del Sol since that was another 2 hours by boat and we both were feeling woozy because of the elevation. 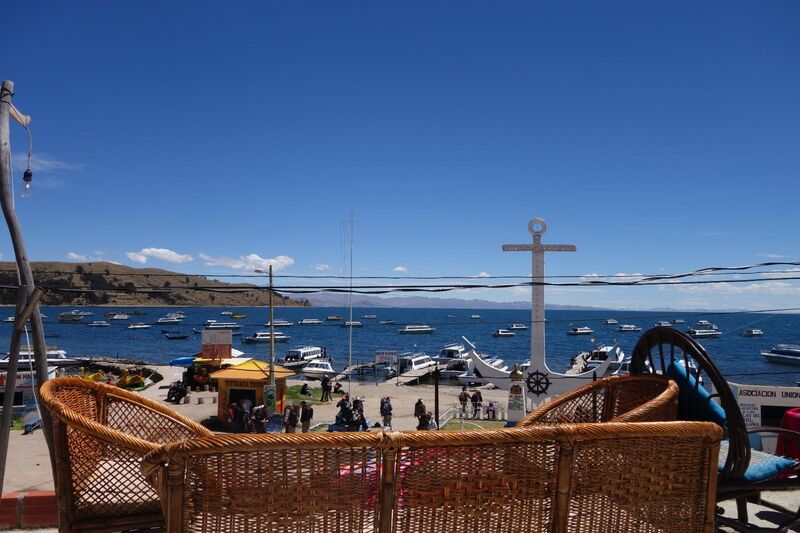 We spent most of our time absorbing the beauty of Lake Titicaca from the shore and enjoying nice hot quinoa soup in restaurants along the lake. Next day we felt better and headed back to La Paz and took our next flight to Santiago, Chile - more on that later.